The time is 1am, the location a sleepover, by now you’ve already been out for dinner and ice-cream , danced around , read magazines and watched a gazillion chick flicks so what’s the best thing to do now?……..one word, four letters…bake! And what’s better than eating chocolate in the middle of the night. 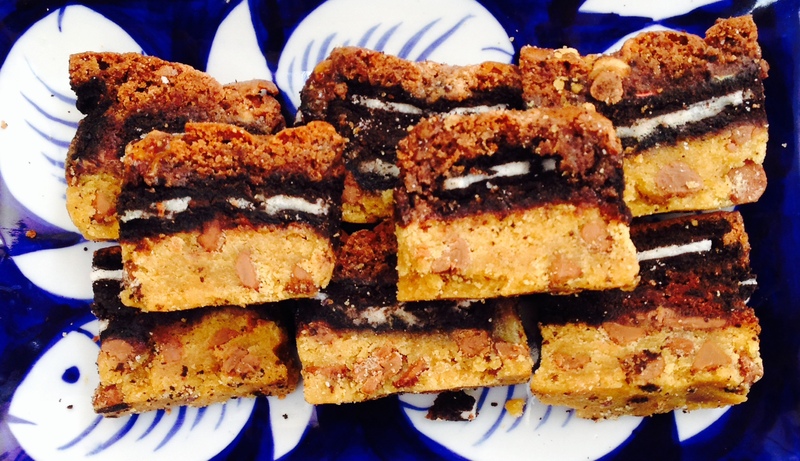 This week we asked what ingredient you’d love to see us bake with next and Oreo came out on top! yesss.. that can only mean one thing. 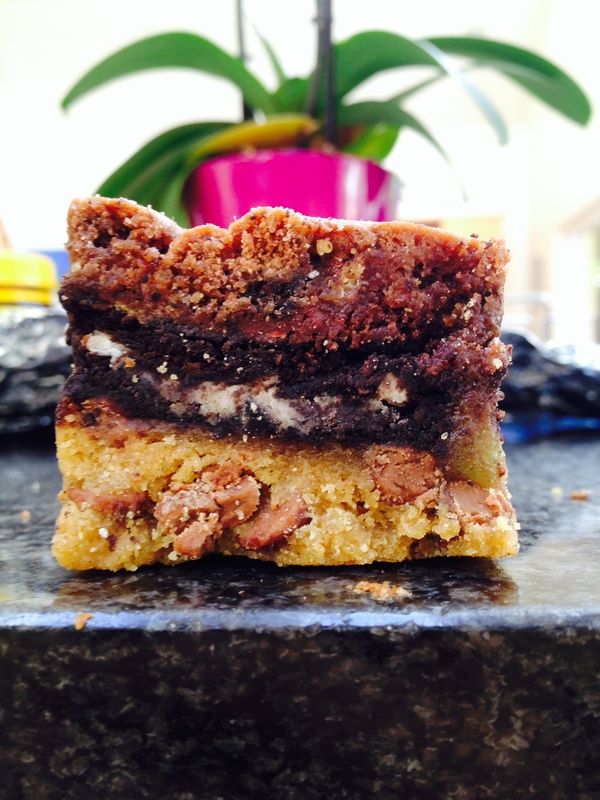 Bad Boy brownies which are more commonly known with a bit of a naughtier name…This brownie includes three layers: a cookie dough base, an oreo crunch in the middle and a nutella brownie to top it off! Salivating yet? Before we start preheat the oven to 180 degrees and line a baking tray with baking paper. Now we’re ready to begin…..
First it’s onto the cookie dough. Mix together all the ingredients by hand. It’s really fun and a little bit messy. Then the nutella mixture which is also as simple as combining and mixing together all the ingredients. Now for the assembling. First lay down and press your cookie dough at the base of the baking tray. Then place your oreos over the dough. Finally pour the nutella mixture over the top and Vwolla! Just pop em in the oven for a good 25 mins and that’s all there is to it! How easy is that?! And so deviously delicious. Chocolate chips- add as much or as little as you like! Well that pretty much sums up my weekend. I’m literally about to crash…running on three hours of sleep!! Eat chocolate and be happy!